Can I use renewable energy in my home without spending any money for solar panels or wind generators? Here's some information about do-it-yourself renewable energy! Can I install my own electric meters to see how much power my tenants are using? I’m replacing an old 100 amp ringed meter box with a 200 amp ringless meter pan. 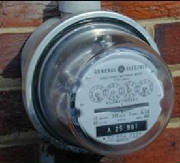 Before we start, do we just go ahead and remove the meter then remove the old socket, or does the power company do that? What about the barrel lock on the meter? You need to check with your electric utility before proceeding with this work. They will most likely have specific procedures for you to follow. Also, I don’t know of any utility company that will allow you to open a meter pan and remove the meter on your own without facing penalties. When replacing a 100 amp utility meter socket with a 200 amp one does the 100 amp breaker also get upgraded? What about the wiring throughout the house? No - these items do not necessarily have to be changed. However, it would be a potential fire hazard to upgrade your 100 amp panel to a 200 amp one without upgrading the service entrance on the outside of your home at the same time. What would cause my electric bill to spike? 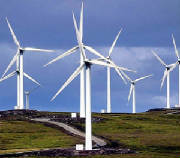 The amount of kilowatt-hours increased by 500 starting a few months ago and hasn’t decreased. I’m not using an air conditioning. Before, my average kilowatt usage was about 350 for non-summer months, now its well over 870. There are different things that can cause this, including short circuits, well pumps running constantly, etc. You can call a licensed electrician who can do a current measurement on the branch circuits of your breaker panel. This may help to determine where the power-robbing culprit is.